ULTIMATE MATHS TUITION BY SINGAPORE MATHS TUTORS! : A Proven ‘A’ Math Specialist With 14 Years Of Experience! A Proven ‘A’ Math Specialist With 14 Years Of Experience! 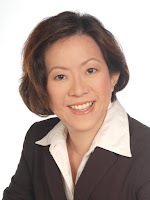 Mrs Chang who is a professional full-time Maths Tutor with 14 years of Experience. She has taught 'A' level Accounting, 'A' Mathematics and 'E' Mathematics. For the Past 4 years, she has been specialising in helping students to score As in their Additional Mathematics ('A' Maths).